Most algorithms have also been coded in Visual Basic. If you are programming in Visual Basic, I recommend you read Visual Basic Collections and Hash Tables, for an explanation of hashing and node representation. A search for Algorithms at amazon.com returned over 18,000 entries. Here is one of the best. 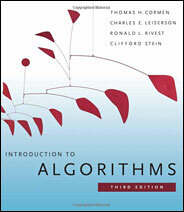 A graduate-level discussion of algorithms that also works for the mathematically challenged.